Holy smokes! That baby is growing and getting ready to join us! Adorable. 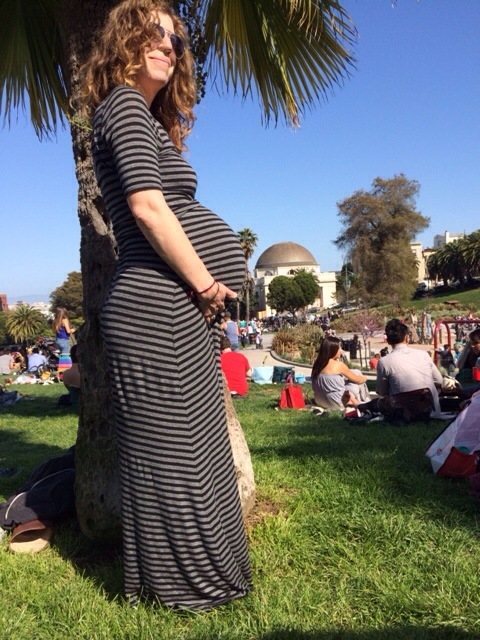 How many people say to you, “You are ready to pop any second” and then you reply, “Uhm…like in 6 weeks, but thanks! !” 😉 I like to see their faces when they realize I am not about to go into labor!! I will NEVER say that to another woman ever again in my life (which I am sure I have, but never realized how annoying it is). I haven’t gotten the ‘pop’ comment (what a terrible expression) but many inquiries about being really close or having twins! Lookin’ good! Sending somersault vibes your way!